Searching for the perfect holiday gift? 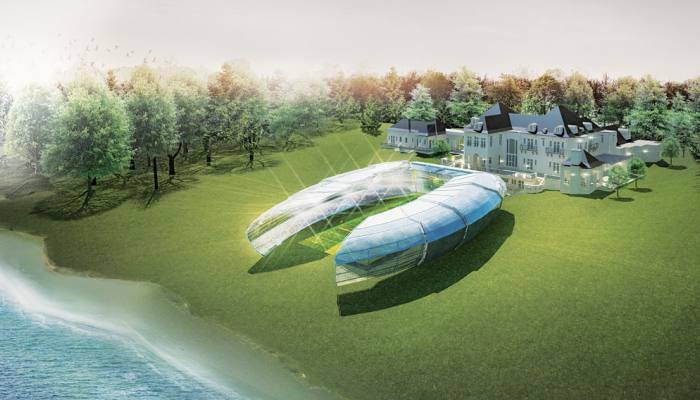 If AN’s 2013 Holiday Gift Guide choices are not exquisite enough for your recipient’s taste, sport architecture firm Populous has just the right $30 million option. The Kansas City-based company, whose commissions include Yankee Stadium in New York City and London’s Olympic Stadium, will give one big spender their own custom backyard stadium this holiday season. The offer was created for Robb Report’s Ultimate Gift List this year, a list of luxury presents for the world’s wealthiest, said Ballpark Digest. 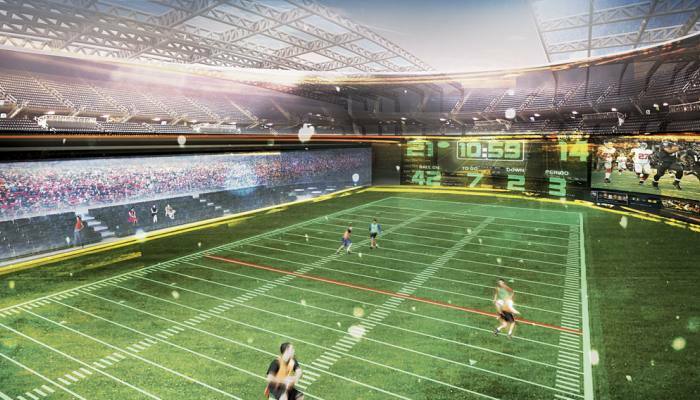 After at least 12 months of design and construction, the personal field will be equipped with the electronic displays and the technology to host and play nearly any sport. A gift stadium by Populous will be 40- to 50-yards long, about half the size of a regulation American football field. Fiber optics in the artificial grass playing green field will set regulation field lines with light, giving multisport options. Surrounding players on all sides, 12 to 20 feet tall LED screens will have the abilities to countdown and keep score, project backdrop environments of famous sporting grounds, and fill the stadium with virtual fans, in addition to the 100 real seats of a built box. If weather is a problem, the stadium can be constructed with a retractable roof. If the client desires a more authentic playing experience, machine-made rain, wind, and snow may be created. Populous’ electronic wonder field is meant for personal use, with technology to mimic the function of a true stadium, not to achieve it. The goal is to create “a custom, premium environment for a select number of people,” said the firm’s Associate Principle Ryan Sickman. And regardless of the population of a practice, scrimmage or match, its sound system can recreate the cheers, songs, and hecklings of a professional game.